Greg is a lawyer with the Law Society of Upper Canada (Ontario)and formerly of the Law Society of British Columbia. He attended law school at theUniversity of Victoria. 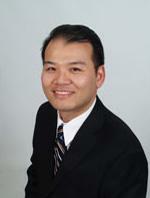 His practice areas include: insurance litigation; personal injury litigation and commercial litigation. Greg is Litigation Counsel to a broad range of solicitors and sole practitioners in Ontario; federal and provincial corporations; leading insurers; and individual private clients. Greg and the firm are frequently retained by other Ontario lawyers to handle their valued clients’ trials and appeals. Greg frequently blogs on issues relating to insurance and personal injury law.